At the Montana Center for Facial Plastic Surgery, we believe that informed patients make the best patients. We have included some of the more common questions that our patients ask during their initial phone calls to our office or at their consultation appointments. We hope that this information is helpful to you as you contemplate cosmetic enhancements. Do your homework before having cosmetic surgery, look at web sites, and ask questions, questions, and more questions. We have patients in their early 20s to those that are 65 years of age and beyond. Women in their 20s and 30s may want to start maintenance programs, including injectable fillers, to reduce fine lines and facial folds, or use other preventive skin care treatments to stave off the visible signs of aging. BOTOX®, for instance, can help prevent the development of fine lines and wrinkles around the eyes and on the forehead. Mini-facelifts are available for those in their 40s who don't need a traditional full facelift, but want to tighten up the sagging skin and underlying muscles without a lot of down time. Both men and women in their early 50s and 60s who are looking for more youthful, dramatic improvements can achieve natural-looking results with a variety of cosmetic surgical options. If I begin with a nonsurgical cosmetic procedure, what is available and should I do anything in advance to prepare for it? 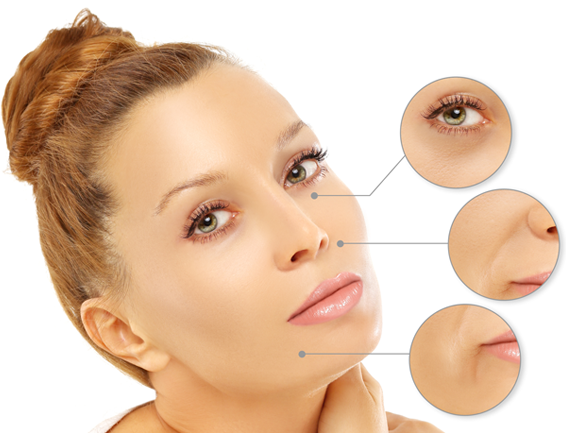 There are many nonsurgical or minimally invasive options available for facial rejuvenation. Fillers such as Restylane® and Juvederm® are helpful to plump up lines in the face or to enhance the lips. BOTOX® and Dysport® are effective for erasing wrinkles in the forehead, crow’s feet, and frown lines between the eyes. Before any procedure, Dr. Hayes will advise you about activities (such as sun exposure) or medications (such ibuprofen or aspirin) to avoid in order to minimize bruising. Many treatments, such as laser procedures, do not require any preparations on your part. Others, like chemical peels or surgical treatments, will differ according to your specific needs. Each procedure will be discussed in detail beforehand during the consultation so you will be completely at ease. There are several areas to address for that tired look. First, decide which area is of the greatest concern to you. While you may not be aware of exactly what is causing your face to appear older, Dr. Hayes has the advanced training and experience to understand your real needs. Eyes, for instance, can often be dramatically improved by a brow lift, blepharoplasty (eyelid lift), laser resurfacing for fine lines, chemical peels and/or BOTOX® injections. Lips, on the other hand, may benefit from fillers such as Restylane® and Juvederm®, Radiesse® and Artefill®. In other cases, peri-oral laser resurfacing and chemical peels can be used to dramatically smooth out lines and wrinkles around the mouth area. Dr. Hayes can guide and advise you about what treatment options are right for you. In the same way you would not take a Ferrari to a bicycle repair shop, you should never trust your face to someone without the proper education, experience, and tools to do the job right. A facial plastic surgeon is board certified by the American Board of Facial Plastic and Reconstructive Surgery (ABFPRS). This specialist has had one year of general surgery residency, followed by four years of residency in otolaryngology (ENT) and one year of specialty fellowship training in facial plastic surgery. In order to be accepted as a board-certified plastic surgeon, a doctor must pass a daunting two-day board exam and submit 100 surgical cases for review by his or her medical peers. Because Dr. Hayes specializes in small, nuanced, and natural-looking results, people often notice the difference, but usually cannot pinpoint exactly what has changed for the better. Whether others notice will depend on what type of surgery you have as well as the overall perceptiveness of the observer. In many cases, our patients receive compliments on how well-rested they look or they are asked if they have lost weight. Cosmetic procedures for men and women, such as eyelid surgery, nose surgery, and facial implant surgery are performed essentially the same way. Of course, special considerations are made for men due to beard growth and pattern, sideburns, and receding hairlines. Additionally, men tend to have thicker facial skin as well as a richer blood supply. Scarring is sometimes slightly more difficult to hide since men do not wear makeup and their hairstyles are not usually arranged towards their faces the way that women may do. In general, men prefer a more rugged, chiseled look while women prefer a softer, more rounded profile associated with a youthful, feminine look. Whether male of female though, each person’s face is unique and needs to be evaluated according to the desired outcome. 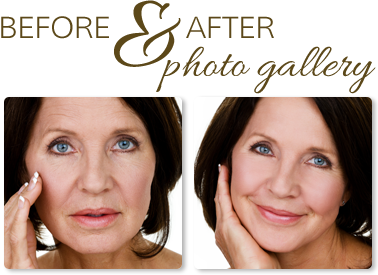 Dr. Hayes has an exceptional ability to create appealing facial changes in either gender. There are many factors that determine how long the effects last including sun exposure, weight gain or loss, and the muscle and bone structure of your face. Dr. Hayes is skilled at creating long-lasting, more youthful appearances and turning back the clock. Of course you will continue to age as everyone does, but the surgical changes are made to last over the course of time. In all cases, patients will look younger than if they had not had the work done. Do you use Restylane® as an injectable filler? Absolutely, Restylane® became available in the United States in December 2003 and is one of the most popular. We also use Juvederm®, Scultpra®,and Radiesse®. While we will always work with you to provide you as much comfort as possible, everyone is different in how well they tolerate postoperative discomfort. Depending on the work done, most patients report they feel better after the first 24-48 hours have passed. Appropriate pain medications are available for postoperative patients. For the remaining recovery period, Tylenol® is generally adequate for controlling any discomfort. Most of our patients report that their pain levels are minimal – more bothersome than being really distressing. Recovery time from surgery is normally one to two weeks, depending on the extent of the surgery performed. Other factors to consider are the type of work you do and how tolerant you and your employer are to swelling or bruising. Most patients have sutures removed after one week and are ready to resume normal activities. Any incisional surgery will leave scars. To ensure that scarring is kept to a minimum, incision placement is as inconspicuous as possible. Once you have healed, scars are generally not visible. Makeup will help diminish any remaining pinkness of skin when you return to work. Dr. Hayes is an expert in cosmetic surgery, utilizing the least invasive techniques possible in order to limit the number and size of incisions. In many cases he can use laparoscopic procedures to further reduce scarring. Appointments can be made by calling our office at (406) 541-7546 or you can request a consultation online. We also provide seminars throughout the year to answer common general questions. Please refer to the Your Privacy section of this website for the types of questions that can be answered by our office through email. Cosmetic facial surgery is not covered by health insurance. If the surgery corrects a medical problem, then health insurance may cover some of the cost. Our office will consult your insurance company to determine coverage and authorization. Contact us at (406) 541-7546 for a consultation appointment at our convenient Missoula office located off North Reserve Street or use our online form.